Phokoje Bed and Breakfast is located approximately 20 minutes from Gaborone. This guest house is set on 10-acres of prime bushveld, producing stunning views of the surrounding hills. At Phokoje Bed and Breakfast guests have the option of being accommodated in the one-bedroom cottage or in the two en-suite rooms. 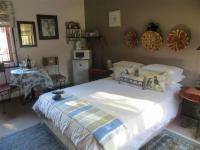 The fully furnished cottage has a queen-size bed, a bathroom with a shower and a well-equipped kitchen. Each en-suite bedroom has a TV, a ceiling fan, Wi-Fi, tea and coffee facilities, a microwave and a toaster. Leading from each unit is a lovely garden with seating and braai facilities. The property is secured with an electric fence and accessible through an electric gate. 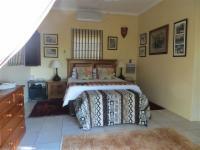 Nearby attractions include the Mokolodi Game Reserve and Lion Park Resort. The area is also a bird lover’s paradise and offers many hiking trails. Thanks Anne for a wonderful experience, your warm hospitality and kindness will always be remembered.Kind regards, Aubrey & PatriciaEstablishment Response: Hi Aubrey and Patricia, Thank you for your kind comments about your stay with us at Phokoje bed and breakfast. Hope you had a fabulous holiday. Kind regards Anne. Cottage was well outfitted and very comfortable. The continental breakfast was great as well as filling. Coffee facilities even better. Anne was very helpful to us and helped us with our search for the Livingstone Memorial! Phokoje Bed and Breakfast is 17.9km from the centre of Gaborone , the nearest airport 28.1km (Sir Seretse Khama International Airport).